I love to write these posts. One, because you love these round ups and refer back to them a lot. And, two, it means I just got back from a trip! 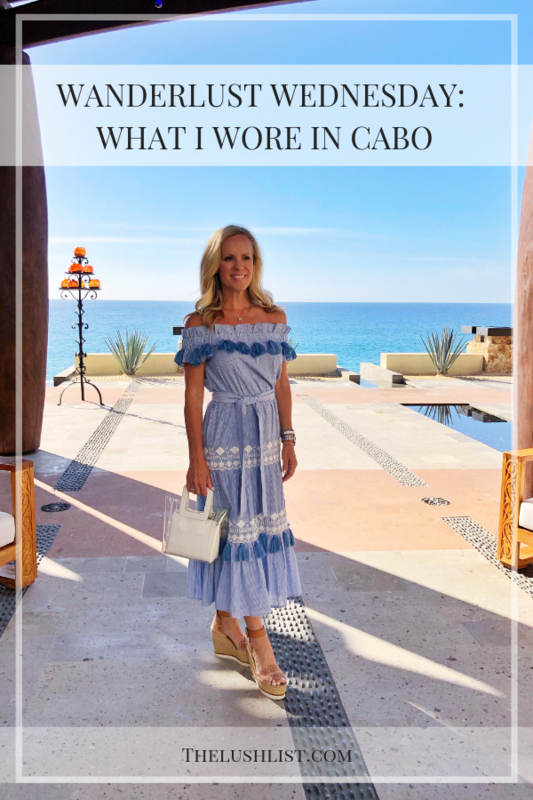 Here is a quick round up of what I wore in Cabo in January on what has become an annual trip. That makes me really happy as well! To save space I wore the same look both travel days. I took only a carry on and my new favorite tote. 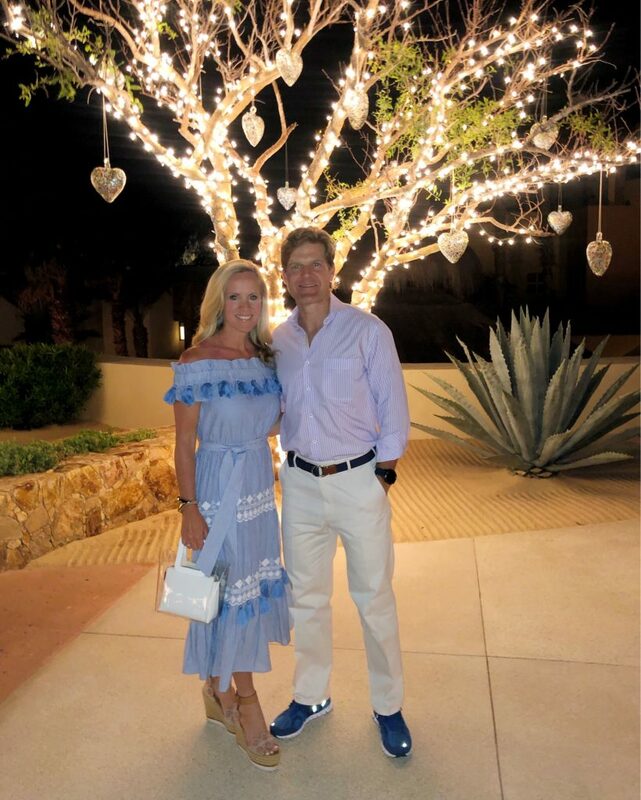 I wore this embroidered top with white jeans on the plane and changed into these white shorts at the airport to arrive at the resort since it was so warm. I always pack this wrap for the plane and wear jeans because I’m always freezing! I got all of this and four swimsuits, two more pair of sandals, two more dresses and more in just those two bags. I’ll be sharing more on that soon! 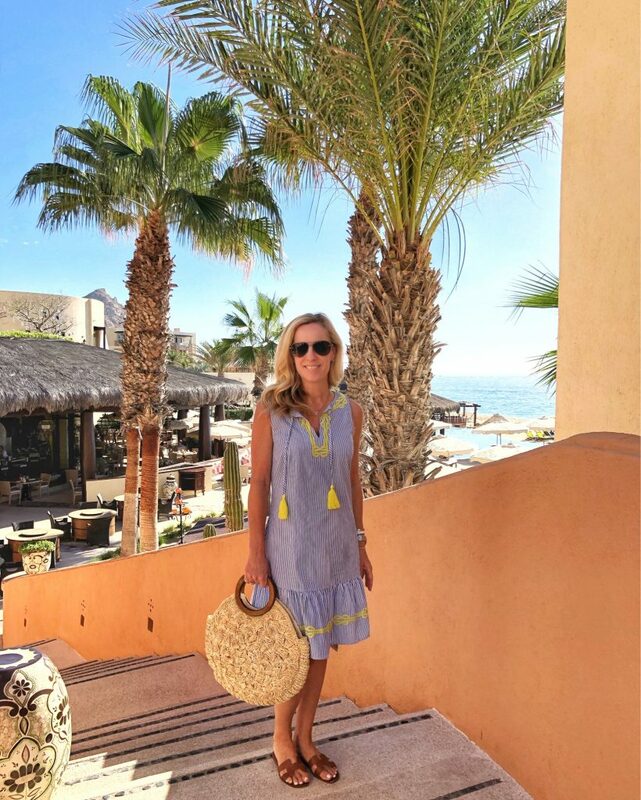 Breakfast and Poolside Love this darling striped shirting dress with yellow embroidery and tassels. Would be great as a cover up as well. Dinner at one of my favorite restaurants in the world. 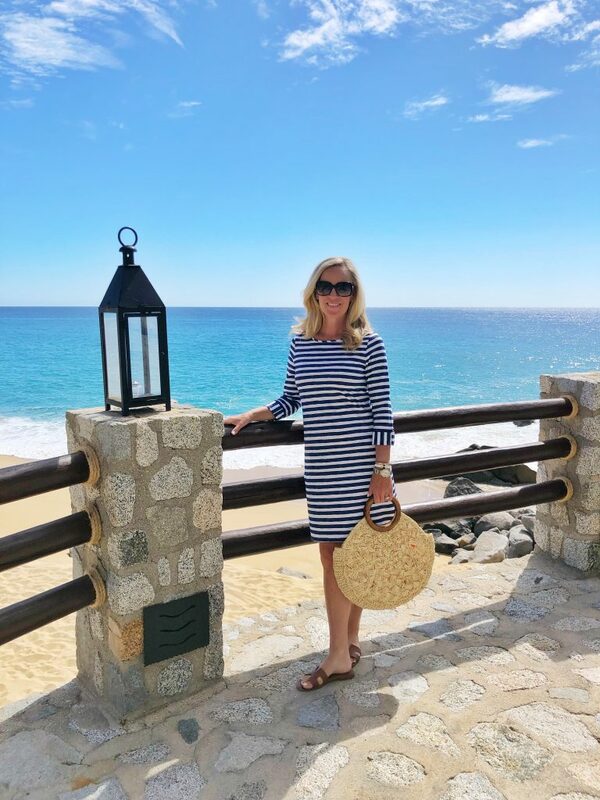 This restaurant is built into the cliff on The Resort at Pedregal property. There is no experience like this one. Sitting along the granite cliff and hearing the surf crash below is just magical! You can see this on my Instagram Stories where highlights of all my travels live. 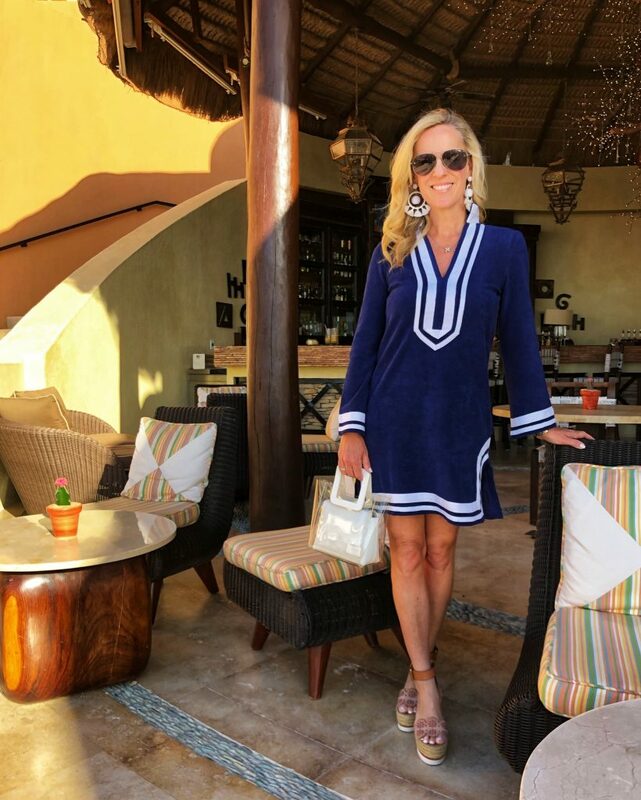 This terry tunic dress is great for travel as it goes from pool to dinner. Love a double duty piece! Poolside Love the new version of this favorite cover up from last summer. The new fabric is amazingly cool! Lunch at Outpost I’ve taken this One Shoulder White Ruffle Dress on almost every vacation for a year! It packs well and is perfect for sightseeing or dinner. 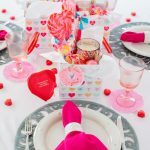 I’d love to know your favorites in this round up. Remember when you leave comment you are automatically entered into the weekly beauty box giveaway I’m doing until March! Each of these pieces would be perfect for a beach getaway for President’s Day weekend and Spring Break. You can find more in my Resort Shop. 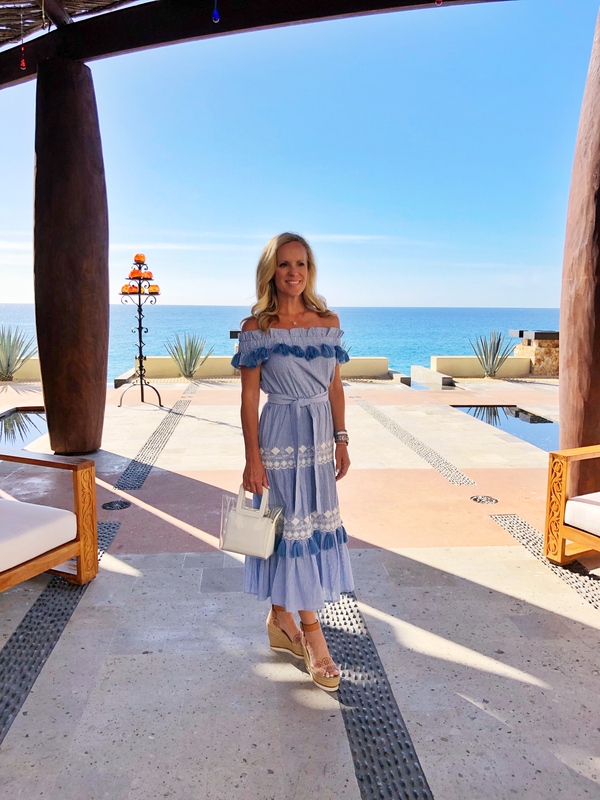 Ps -Be sure to follow me on Instagram for inside info that doesn’t happen on the blog and register for my newsletter so you don’t miss any fun news coming your way! 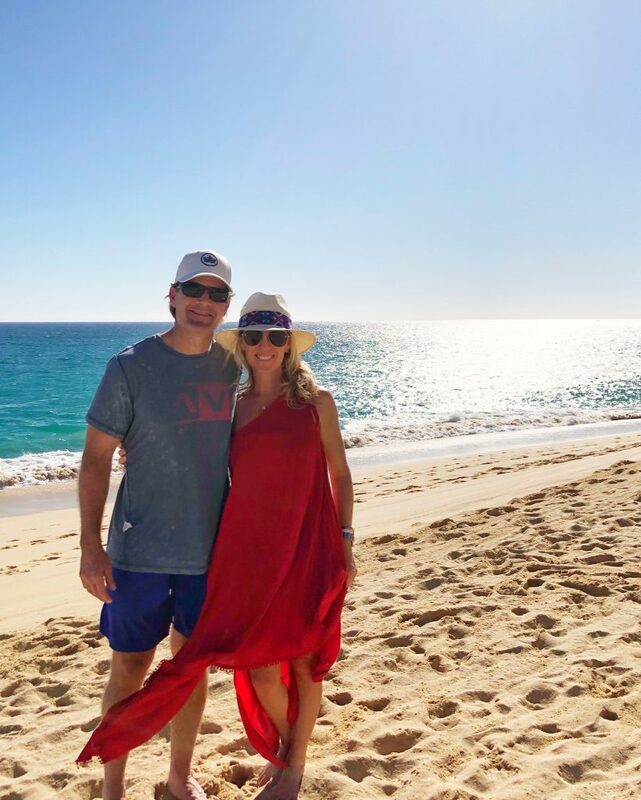 Cabo looks beautiful!!! I really love your one-shoulder white dress! It is so simple but works great from day to night. I would like to have it in all three colors! 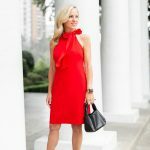 Do you have a favorite bra you like with that dress? I assume any strapless would work? Silly question, but how do you transport your fedora on the plane? I’m always either carrying it in my hand and juggling it among other carryon luggage…and then trying to stow it under the seat or overhead. Somehow, my hats always end up crushed..or lost. Not a silly question at all! I do typically carry mine on the plane and then put it under the seat with my tote. I know others pack them with rolled up clothes inside to help them keep their shape. I just like to have mine ready when I get off the plane!